Are you worrying about sending mails accidentally and how to undo sent mails after delivered in Gmail? Sometimes we send mails accidentally without finishing text in mail box.When this happens,it can create a bad impression about us especially if it is professional message or mail. 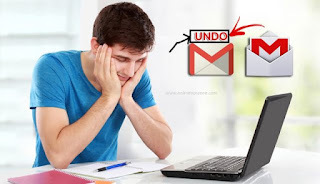 Don’t worries we have an option which was provided by Google that we can recall or edit sent message after delivered it.Find below some simple steps on how to delete or recall or edit sent message in Gmail. On the Gmail website, click the gear icon in the top-right corner and select Settings. On the General Tab, you should now see Undo Send listed as the tenth option. Now choose the length of time you’d like to have the ability to recall your sent emails from the drop-down menu. Options include 5, 10, 20 and 30 seconds. The feature is really quite simple; it basically configures a delay on your Send button. Instead of firing off your emails when you click Send, it holds them for however long you configure, and then sends them. This way, if you realize you sent something you didn’t mean to, you can recall it.